Reference this essay: Schrimshaw, Will. “Writing Out Sound: Immersion and Inscription in Sound Art.” In Sound Curating, eds. Lanfranco Aceti, James Bulley, John Drever, and Ozden Sahin. Cambridge, MA: LEA / MIT Press, 2018. Within the curation, theorization and production of sound art we find a predisposition towards immersion and interiority. It is argued herein that auditory culture’s perceived privilege with regard to immersion, immanence and interiority is not only inaccurate but limits the critical and epistemological scope of sonic practice. By initially situating this critique within the terms of Jacques Derrida’s critique of phonocentrism, the exteriority considered proper to writing yet antithetical to sonic immersion is taken up as an initial means of escape from the epistemological constraints of interiority. Initially using Derrida’s theory of writing to help unbind theorization of sound in the arts from affirmations of affective interiority, it is argued that Derrida does not take us far enough, leaving us in a situation where everything is reduced to a play of texts. Escape from the infinite play of signs is attempted through recourse to phonographic procedures and the work of Friedrich Kittler in order to ground the exteriority of writing in a notion of the real. Finally, with reference to basic definitions of sound and the work of artist Dawn Scarfe, it is argued that sound is always-already written in the real, prior to any phonographic act or textuality, and so consequently sound writes itself out of the circle of phenomenological interiority and immersion to which it is readily consigned. Sound art, immersive art, interiority, exteriority, phonography, writing. Writing about sound art within academic, artistic and curatorial texts tends to gravitate towards certain common terminology: the “enveloping, immersive and intense”  are often taken to be a particular privilege of ‘the sonic’ or ‘auditory culture.’ These terms are usually contrasted or opposed to the distal exteriority of ‘visual culture’: “the sonic suggests an understanding that is based on connection, combination and synthesis, rather than division, separation or analysis alone”, the latter being considered characteristic of ‘the visual.’  This contrast is perhaps most clearly laid out by Christoph Cox in the claim that “lacking earlids, we are forever and inescapably bathed in sound, immersed in it in a way that we are not immersed in a world of visible objects.”  The assumption of such terms and oppositions is usually carried out in an attempt to steel the identity of the sonic, auditory or oral against the “hegemony of the visual.”  While the assumption of such terms has undoubtedly helped to enrich discourse on sensory culture, there is also a danger in too readily assuming these terms, resulting in a limitation and homogenization of practical and theoretical activities concerned with sound in the arts. Defining the boundaries of the oral or auditory in opposition to the visual too strongly can disempower sonic practice and discourse, limiting the scope and terms of its operation to the phenomenological and auto-affective. To those familiar with the spate of texts on sound art and auditory culture in recent years this argument will initially appear similar to that already presented by Seth Kim-Cohen. Where I share Kim-Cohen’s concern that the price paid for unrestrained phenomenological and affective impetus is often conceptual potency in practice and theory, Kim-Cohen’s emphasis upon Conceptual practice, while surmounting phenomenological impasse, nonetheless remains entrapped within the “the interminable ‘reading’ of everything as ‘text,'” thereby swapping the constraints of phenomenological interiority for those of textual constructivism. The aim of what follows is to identify one possible route out of this increasingly constrictive discourse of interiority and immersion, a route where sound is written, or even writes itself, out of interiority towards an expansion of sonic practice’s epistemological scope. This deep notion of writing identified by Jonathan Sterne comes from the application of Derridean theory to the study of sound recording and reproduction, wherein recording media have been understood as means of writing or impressing sound upon one medium or another. Where Sterne is critical of binding sound reproduction too tightly to writing – principally because this writing is implemented through recording technology, subsequently entailing a sense of disembodiment, and Sterne is concerned to articulate a somatic theory of sound reproduction extending beyond recording – it is the sense of exteriority that comes with Derrida’s conception of writing – more than the accompanying “play of difference” – that I wish to retain in maintaining associations between sound and writing. It is from this link between sound and writing, specifically due to the exteriority associated with the latter, that sound can be understood to be written, or even to write itself, out of the interiority to which it is usually consigned. In what follows I will reiterate this connection between sound and writing in two ways: 1) through reference to sound recording as a technical process and 2) through the notion that sound is always-already written. In both instances the link between sound and writing is reiterated in order to ascribe sound to an order of exteriority to which it is usually considered antithetical. Before going any further with this link between sound and writing, it is necessary to clarify the link that Derrida makes between writing and exteriority. At this point it should also be noted that the notion of exteriority serves as a stopgap allowing for greater distinction between given appearances and things-in-themselves, rather than their conflation. The in-itself is in this sense exterior to the interior world of subjective phenomenal appearances. In working towards a concept of immanence that necessarily prohibits exteriority, the notion of exteriority serves as a necessary stopgap in presenting an argument that attempts to undo the knot of interiority that constricts conceptualization of sound in the arts. A concept of exteriority is only required where the sense of interiority is preserved. It is interiority, considered a privilege of the sonic against an exclusive and distal conception of vision, that is to be unfolded or collapsed into a generalised or absolute exteriority without interiority; at the point of this collapse both terms clearly lose their distinction in the pursuit of immanence. Jacques Derrida described at length the assignation of writing to an order of exteriority regarded as a residual impoverishment of language, a characterisation derived through comparison to the apparent primacy and immediacy of the spoken word as a unity of sound and sense. Yet for Derrida it is metaphysical doxa that erroneously defines or delimits writing as secondary exteriority in relation to an original interiority. While for Derrida “the order of writing is the order of exteriority”  it is also the case that “the outside bears with the inside a relationship that is, as usual, anything but simple exteriority. The meaning of the outside was always present within the inside.”  Against the idea of a primary orality that is subsequently interrupted by writing the aesthetic interiority of orality is “always-already” fissured by an “original […] eruption of the outside within the inside.”  This “outside” is that of writing, exterior to the immediate unity of sense and sound. Where it is contrasted with the voice and spoken language, writing is exterior to the circle of vocal auto-affectivity, to the immediate affirmation of presence that comes with hearing oneself speak. Whereas the auto-affectivity of the voice and the affectivity of sound more generally are taken as an affirmation of presence, writing marks an absence, a recording, a document or supplement to the primacy of the affective sound event. As such writing breaks with the circle of interiority and immersion within which sound envelopes and centres us. If a sonorous envelope delimits interiority, the outside is delimited through writing, yet if we follow Derrida’s argument the outside is always-already present on the inside; the interiority of sound is always-already punctured by the exteriority of writing. Making sense of this claim that the apparent immediacy of sound is always-already written out will require recourse to recording technology, but also through the reductive or subtractive definition of sound given above, wherein impression occurs prior to audition. Before going into more detail on this point it is necessary to further clarify the extent of what is called writing in Derridean thought. Where writing is readily bound to language and the recording of signs, through its association with the Derridean concept of trace writing is unbound from this sense. In contrast to a writing bound to sense the vitiating exteriority of writing gains traction in Derrida’s concept of the trace: an occulted impression that punctures the plenitude of presence, an “irreducible absence”, “the opening of the first exteriority in general, the enigmatic relationship of the living to its other and of an inside to an outside,”  “a spacing [that] is always the unperceived, the nonpresent, and the nonconscious.”  It is in the concept of the trace that the absence manifest through writing is most apparent, as this absence extends its antithetical relation to presence to include the absence of sense. In plotting a route out of the circle of interiority predominant in discourses on sound in the arts it is my intention to make provision for discourses and practices more accommodating to contemporary notions of realism and materialism, particularly those theories where ‘the real’ ceases to entail the phenomenological and somatic associations inherited from areas of study such as Lacanian psychoanalysis and New Materialism. Having asserted these exclusions the notion of the real being pursued assumes a naturalistic or even scientistic guise; it is a notion of the real situated within this latter theoretical context that is being linked to the term exteriority herein. This notion of the real is admittedly alien to Derridean thinking, yet Derrida’s concepts of writing and exteriority nonetheless remain useful in constructing not only a critique of sonic interiority but also a provisional escapologist’s tool-kit. Where we are concerned with the aforementioned notion of the real, the critique of affective self-presence and sonic interiority enabled by Derrida’s concept of writing can only take us so far, to the edge of the circle. Interiority is supplanted by a concept of exteriority, but there is work to be done, departing from Derrida, in reformulating this exteriority in order to link it with the aforementioned notion of the real. The work required by this proposed reformulation exceeds the scope of this essay but I will nonetheless indicate ideas and areas for further development in regrounding exteriority in the real. As Derrida’s “original eruption” of exteriority undermines the binding of sense and sound, in approaching something akin to what Friedrich Kittler called the “writing of the real,” the binding of writing and sense must also be undone via the concept of trace. It is through a concept of writing built upon the emptiness of what Derrida calls spacing and the trace—both indicating an irreducible absence—that its characteristic exteriority becomes clearest, as a being exterior to sense and intention. This exteriority, I’d like to argue, creates a space for the accidental writing or inscription constituting a mark of the real. What must be noted here is the distorted use of the term trace. Here the unmotivatedness of the trace is ascribed to the real, which differs significantly from Derrida’s use of the term as that underwriting an infinite ‘play’ of signs. This difference is also manifest in the use of the term exteriority, as my usage of this term is somewhat scientistic, referring to the order of a non-phenomenologiazable, un-intuitable real as opposed the infinite play of unmotivated signs. On the grounds of this difference a good Derridean will here argue that my use of trace and spacing is inaccurate, as to bind it to a concept of the real is to fix the trace in something akin to an empirical mark and therefore a presence to which the concept of trace is fundamentally alien. There is a wilful misappropriation of the trace herein, or rather a further iteration of the concept of the trace, as while in my usage it becomes fixed in some minimal degree to the real, it is a presentation of the real as void rather than the real as immediate and irreducible presence, a real that “is always the unperceived, the nonpresent, and the nonconscious.”  This equation of trace, exteriority and the real constitutes a ‘close of play’ marked not by the unity of sound and sense but a writing of the real. This close of play naturalises the trace, yet it is a naturalisation that binds it only to the void in the last instance. It is in this sense that the concept of trace is appropriated as a mark of the real. This emphasis on the writing of sound entails a certain amount of agreement with Derrida on the value of a “reduction of phonic substance” where this substance is understood as the aesthetic or appearance of sound. While for Derrida reduction entails a ‘bracketing out’ of sound in order to extend or maintain the play of signs, the quantitative reduction of concern herein, stemming from the aforementioned subtractive definition of sound, does not involve a bracketing or putting aside of sound but a reduction by way of writing as technological or phonographic mediation, a quantitative reduction concomitant with Kittler’s characterisation of acoustics as “one-dimensional data processing in the lower frequency range.”  Quantitative reduction entailed in a scientistic and subtractive definition of sound is less a bracketing out of sound towards and extension of play than a dissolution of the apparent sufficiency of phenomenological clarity that often constitutes epistemological opacity. Quantitative reduction through a writing of sound involves not a displacement of phonic substance but a ‘descent’ through it towards the equivalence of sound, signal and silence found in the traces of the real. 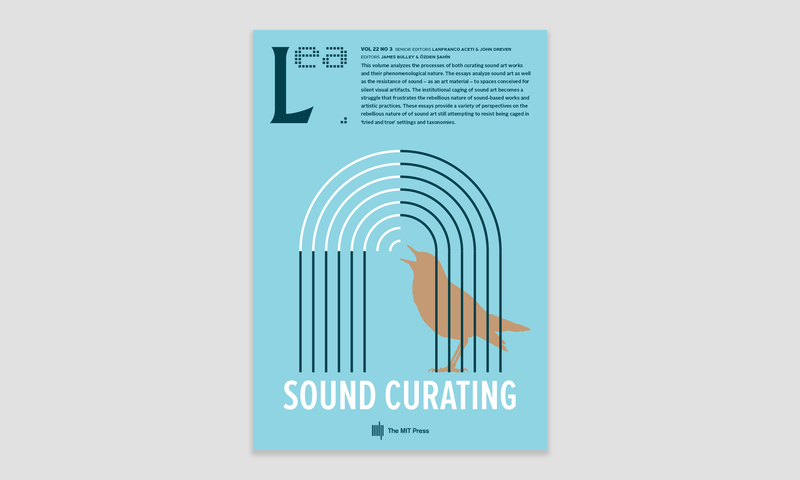 At the outset of this essay it was stated that the connection between sound and writing would be addressed in two ways: 1) through reference to sound recording as a technical process and 2) through the notion that sound is always-already written. It is to the first of these connections that we now turn. Having addressed the connection made by Derrida between writing and exteriority above, to address sound in terms of its being written is to couple it to the notion of exteriority with which writing is associated. Addressing the writing of sound through technical mediation serves to associate sound with an order of symbolic exteriority to which it is usually thought antithetical within sound studies and related fields, this being more readily associated with the visual. It is in the following section where sound is considered as being always-already written that the exteriority attained through association with writing is assigned to or regrounded in the real. Turning our attention to the writing of sound, rather than writing about sound, is to focus on a largely automated procedure of impression, representation, recording, reproduction and dissemination, to what is a technologically mediated procedure. The writing of sound is a writing down and a writing out of sound, taking it outside of the phenomenologically defined circle of immersion and interiority to which it is usually committed. The interiority with which sonic experience is usually associated is most easily addressed through the auto-affective experience of speech that Derrida understood to be the cornerstone of a “metaphysics of presence.”  To hear oneself speaking is to affirm one’s own presence through immediate orality. It is this auto-affective circle that writing is understood to puncture in manifesting exteriority and absence, which for Derrida crucially occurs within the circle of auto-affective interiority as “the meaning of the outside was always present within the inside”; interiority is accordingly figured as appearance. As a means of writing sound, “sound recording preserved the exteriority of the voice while completely transforming its interiority, its insides,” this transformation is that inaugurated by the realisation of the presence of the outside on the inside, a technical as opposed to somatic body, a sound written out. In excising the voice from the self that it singularly affirmed, the auto-affective circle of vocalic interiority is punctured by the writing of sound and the disembodied voice comes to affirm an absence concomitant with a ‘deep’ notion of writing in general. By extension it is not only the recorded voice that comes to stand for an absence but the recording and mediation of sound in general. Having been encoded, impressed or inscribed in one form or another, recording-as-writing presents the challenge of exteriority to the experience of interiority thought peculiar to the sonic. Where we are concerned with the writing of sound as a technically implemented process, this writing underpins many an immersive art experience. The immersive installation is increasingly digitally implemented; despite the experience of immersion, immediacy, envelopment and so on, the infrastructural underpinnings of this experience depend upon a reduction of phonic substance through its digital encoding whereby its status as sound is dissolved in the discrete nature of the digital that makes possible a process of “infinite exchange.”  Peter Osborne’s notion of infinite exchange is derived from his thinking on digital photography, yet this thinking quickly leads to the conclusion that what the digital brings to photography is that its images need not actually be photographic in origin due to the a-specificity of the data file which may be rendered as an image. What quickly becomes clear when reading Osborne’s writing on digital photography is that what is said therein of digital photography can be said of digital phonography; consequently it is not the phono or photo that is of significance but the -graphy which is responsible for the dissolution of media and medium specificity towards a “generic field of the digital.”  It is this dissolution of specificity that makes possible an equivalence between any given data set and a consequent infinite exchange, understood not only in terms of in-principle-infinite reproduction, distribution, exchange and consumption, but in terms of a transformation of data through the equivalence of the binary order from which data sets or files are at base composed. Just as an image need not originate from photographic procedures, a sound need not originate from phonographic procedures – as practices of visualisation and audification have extensively shown. Once analog to digital conversion has taken place, one may just as easily render the resultant data as sound, image, text, etc., regardless of its specific origins. The process of analog to digital conversion presents us with material indifferent to its origins and eventual aesthetic manifestation. Equally the process of digitization accelerates auratic degradation through in-principle infinite potential for multiplication and distribution; in a post-internet age, that a file exists on one machine means it most likely exists on any number of machines, whether the author is aware of this or not. Figure 1. Dawn Scarfe, Etchings, Video Still 1, 2007. Photograph by Dawn Scarfe. Used with permission. Figure 2. Dawn Scarfe, Etchings, Video Still 2, 2007. Photograph by Dawn Scarfe. Used with permission. Figure 3. Dawn Scarfe, Etchings, Video Still 3, 2007. Photograph by Dawn Scarfe. Used with Permission. Focusing on the production, audition and understanding of undulations in air as “signatures of the real,” Scarfe’s Etchings emphasise the impressions anterior yet immanent to sound as sensation, an outside on the inside, an exteriority grounded in the real. Accordingly we may take these Etchings or impressions upon the air as examples of a “deep notion of writing” that Sterne identifies as being active in discourse on the reproduction and recording of sound, a writing drawn out or made perceptible through the use of sound recording and reproduction technologies yet falling short of fetishizing such technologies through emphasis upon an impression anterior to them. Rather than defaulting to the common notions derived from phenomenological envelopment, Etchings emphasizes sound’s always-already being written, an emphasis that presents the challenge of exteriority to the near ubiquitous ideology of interiority dominating discourse on sound in the arts. In Etchings sound is explicitly linked to writing in two ways: 1) through its recording and manipulation, and 2) through the emphasis upon impressions prior to this technological mediation and manipulation. Through this twofold connection with writing sound is written out of the circle of interiority to which it is usually consigned. Insofar as these impressions constitute “signatures of the real” rather than signs, the exteriority that such impressions attain through their connection to a ‘deep’ notion of writing is rendered distinct from the exteriority that Derrida assigned to writing against the auto-affective interiority of sonority. Distinct from the exteriority lubricating an infinite play of unmotivated signs, here we find an exteriority grounded in the real. At this point, and in closing, the reservation regarding exteriority made above should be reiterated. In working towards a concept of immanence that necessarily prohibits exteriority, exteriority serves as a necessary stopgap in presenting an argument that attempts to undo the knot of interiority that constricts conceptualisation of sound in the arts. A concept of exteriority is required only where the sanctity of interiority is preserved. It is interiority, considered a privilege of the sonic against an exclusive and distal conception of vision, that is to be unfolded or collapsed into an exteriority without interiority, at which point both terms lose their distinction in the pursuit of immanence. Will Schrimshaw is an artist and musician. He completed his Ph.D. at Newcastle University’s Culture Lab (Architecture and Philosophy) and currently serves as Senior Lecturer in Music and Sound at Edge Hill University. His research is focused on sound, materialism and realism in the arts, sound synthesis and algorithmic composition. He has published, exhibited and performed widely. His writing has appeared in Organised Sound, Sound Studies: An Interdisciplinary Journal, Interference: A Journal of Audio Culture and Leonardo. He is author of the book Immanence and Immersion: On the Acoustic Condition in Contemporary Art, published by Bloomsbury. Julian Henriques, “Sonic Dominance and the Reggae Sound System,” in The Auditory Culture Reader, ed. Michael Bull & Les Back (Oxford: Berg, 2003), 451. Christoph Cox, “Sonic Philosophy,” Artpulse 16, 4 (2013), http://artpulsemagazine.com/sonic-philosophy (accessed March 21, 2015). In Cox’s statement we find that objects are only assigned to the visual side of this binary opposition, and that it is the notion of the visual rather than the object that engenders distance, distinction or separation. Additionally we should note the contrast between the medium of sound which is considered in general and the visual object. This contrast appears imbalanced in contrasting a medium (sound) with a perceptual (visual) object; a more balanced contrast would be that between either sound and light or sound objects and visual objects. Perhaps the reason that the latter contrast is not drawn upon is that it is contrary to and would undermine the common opposition of the visual and the auditory that Jonathan Sterne has called the “audiovisual litany” (2006: 15). Christoph Cox, “Beyond Representation and Signification: Toward a Sonic Materialism,” Journal of Visual Culture 10, No. 2 (2011): 157. See Seth Kim-Cohen, In the Blink of an Ear: Toward a Non-cochlear Sonic Art (London and New York, NY: Continuum, 2009) & Seth Kim-Cohen, Against Ambience (London and New York, NY: Bloomsbury, 2013). Julian Henriques, “Sonic Dominance and the Reggae Sound System,” 465. Jonathan Sterne, The Audible Past: Cultural Origins of Sound Reproduction (Durham, NC and London: Duke University Press, 2006), 18. Brian Moore, An Introduction to the Psychology of Hearing (Bingley: Emerald, 2008), 2. Jonathan Sterne, The Audible Past, 50. See Jacques Derrida, Of Grammatology (Baltimore, MD and London: The John Hopkins University Press, 1997). Friedrich Kittler, Gramophone, Film, Typewriter (Stanford, CA: Stanford University Press, 1999), 44. Sterne, The Audible Past, 298. Peter Osborne, “Infinite Exchange: The Social Ontology of the Photographic Image,” Philosophy of Photography 1, No. 1 (2010): 59-68. Seth Kim-Cohen, Against Ambience, location 151. See Brian Moore, An Introduction to the Psychology of Hearing, 2. Documentation of Etchings is available at the following locations: Vimeo, “Etchings,” https://vimeo.com/5993571 (accessed July 2016) and Dawn Scarfe’s official website, “Etchings,” 2007, http://www.dawnscarfe.co.uk/project_etchings (accessed July 2016). Sterne, The Audible Past, 50.